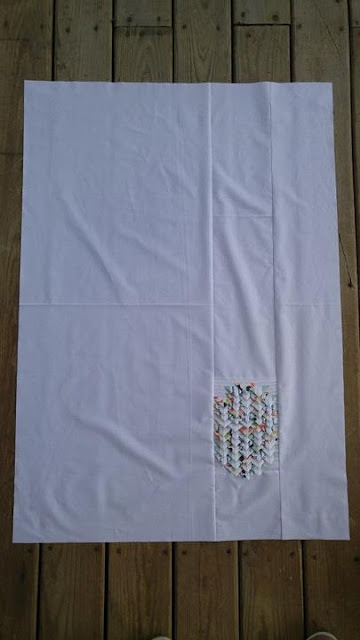 The Stash Builder Box sold some selvages and scraps in scrap bags in preparation of the challenge. 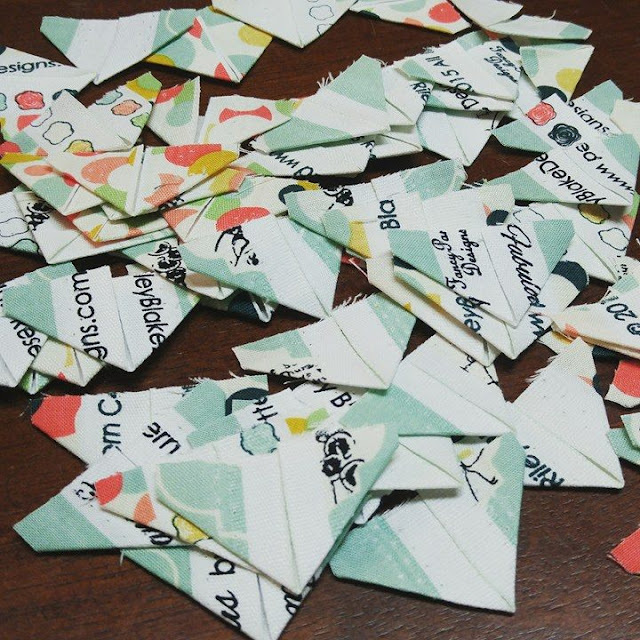 These scraps were from the Fancy and Fabulous fabric by Fancy Pants Designs for Riley Blake Designs. 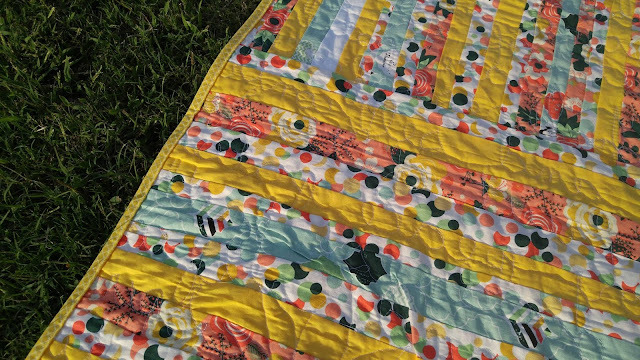 Since I don't normally save my selvages, I wanted to create my quilt exclusively with these scraps. 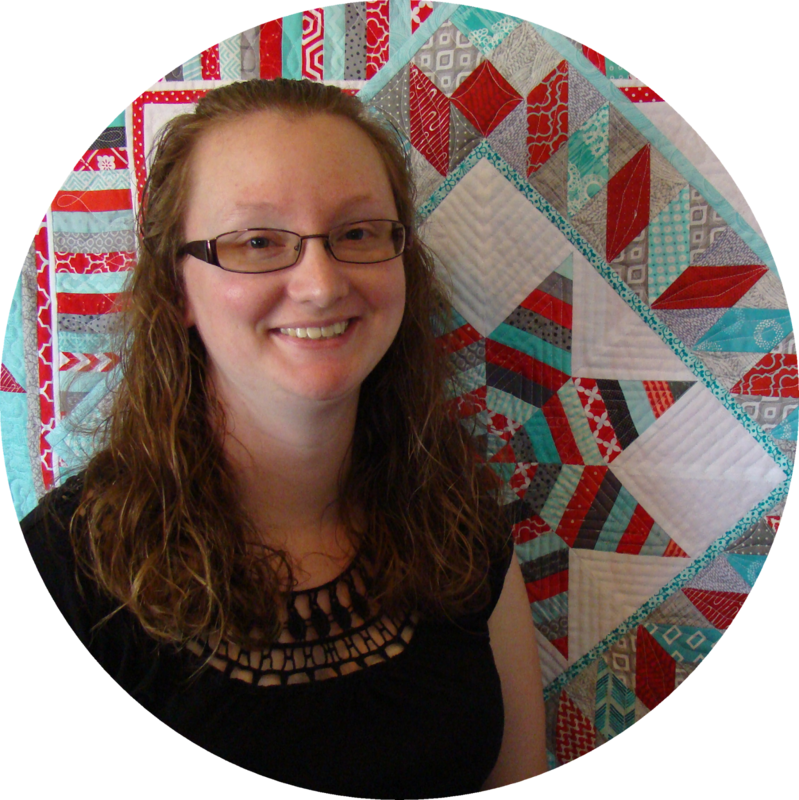 When I started brainstorming ideas for the challenge, I knew I wanted to do something different and outside of the box. 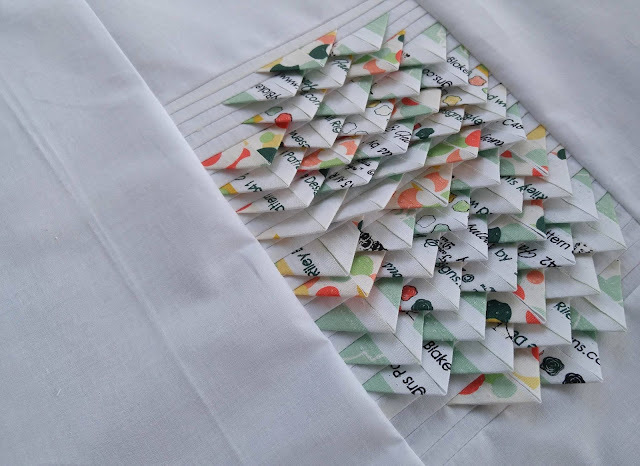 Most of the selvage projects I've seen are made from sewing the selvages together into rows and then cutting those into blocks. I decided to play with the idea that the selvages wouldn't fray and tried coming up with ways to capitalize on that trait. 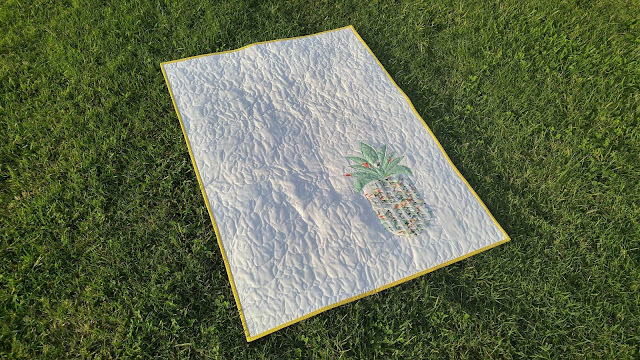 Not long after, the idea for this pineapple quilt was born. 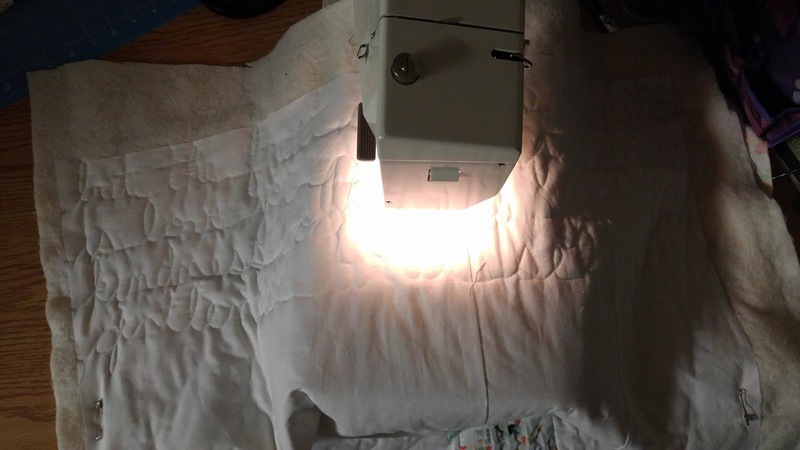 I cut the selvages into small strips, then ironed them into triangles. 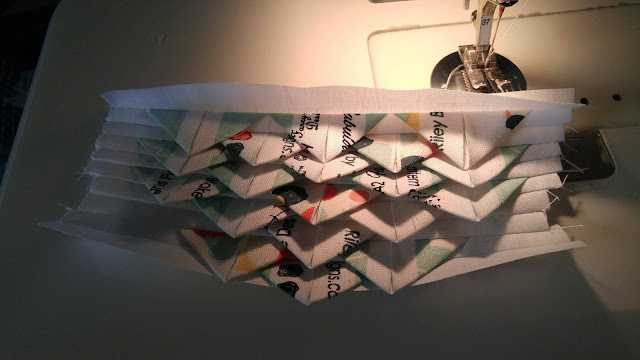 I sewed these triangles into rows. The triangles are only sewn into the seam along one edge. This created an overlap with an amazing texture. 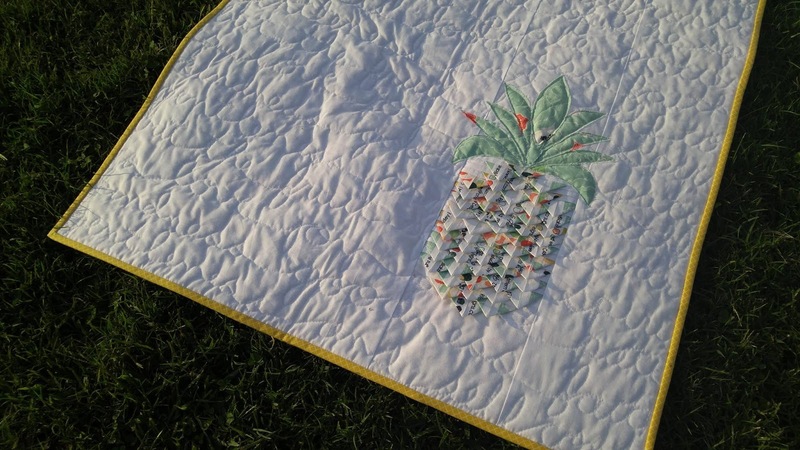 After basting, I sewed several leaf shapes above the triangles to create a pineapple top. 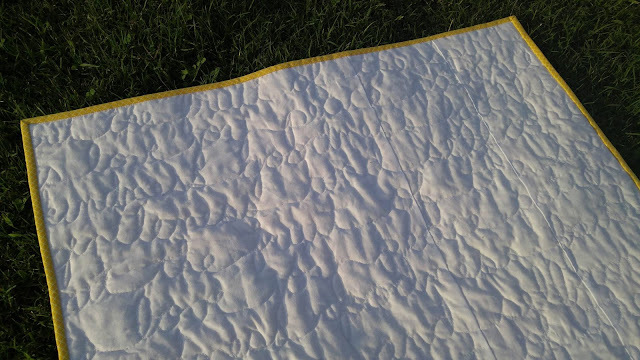 I left these with raw edges to add a softer texture to the quilt top. The back is pieced from the rest of the Fancy and Fabulous scraps. 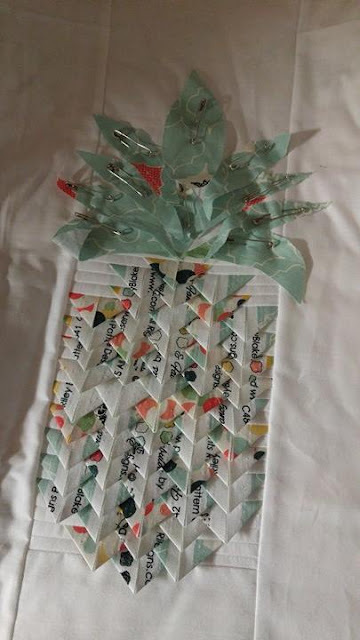 I'll be honest - the back is a hot mess. 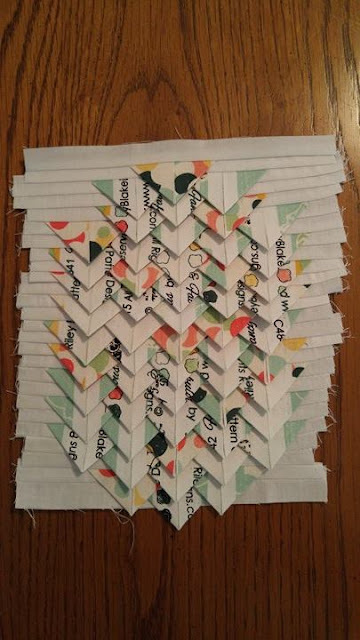 I didn't realize until well into piecing the scraps, that most were not cut straight. This caused the back to not lay flat. Once quilted, there are several puckers. However, I didn't want to start over. 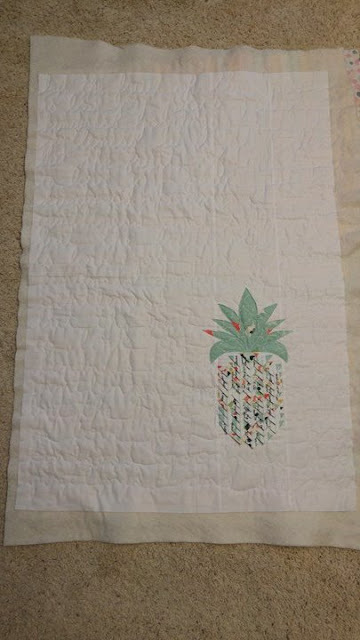 Plus, it's the back. So it's perfect just the way it is. 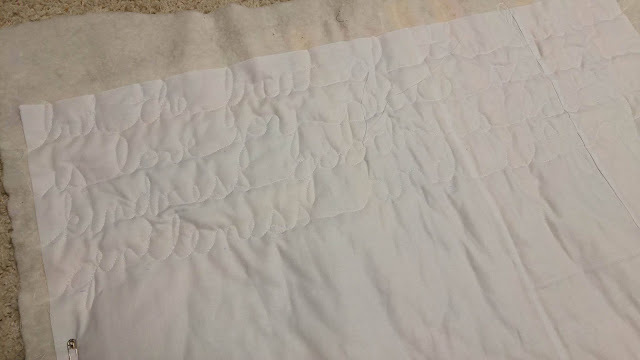 I used white thread for the piecing and quilting. The batting is low loft 80% cotton and 20% polyester. The finished quilt measures about 28" x 40" - a great baby quilt size. 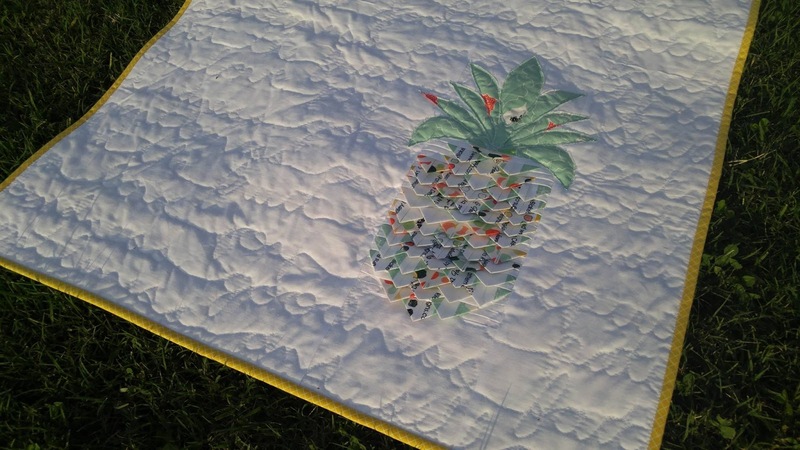 It is my 31st quilt finish for the year! 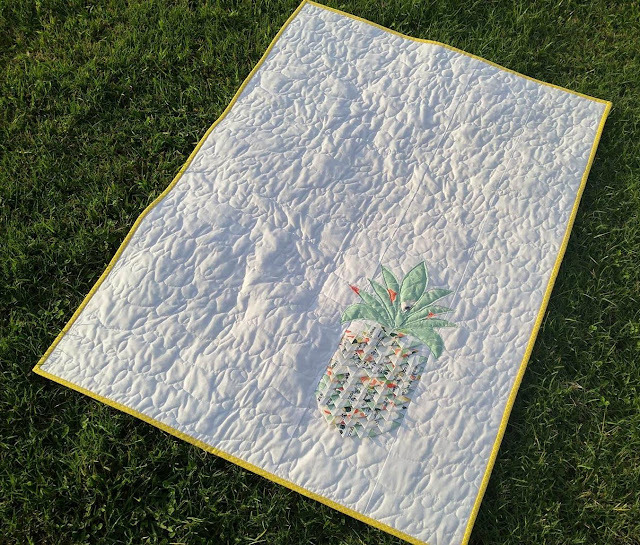 Even with imperfections, I love this quilt! 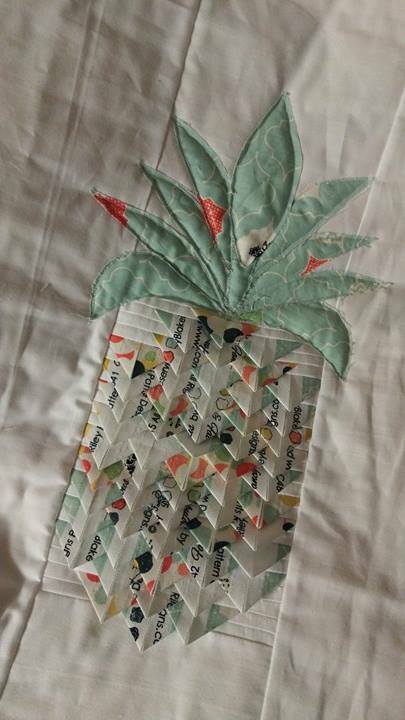 I'm very pleased with how the pineapple turned out, and I have several ideas spinning in my head to use the same technique. 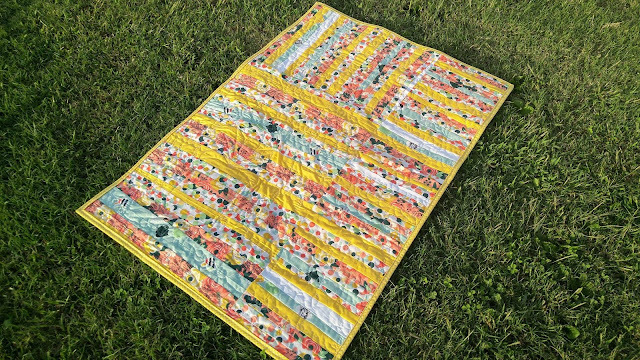 Stash Builder Box uses a percentage of their profits to create quilts to donate to children around the world. 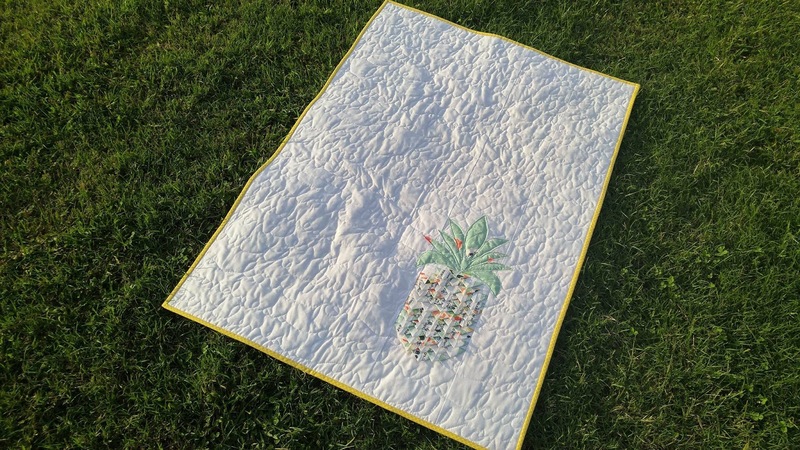 They have encouraged participants to donate the quilts created for the selvage challenge. 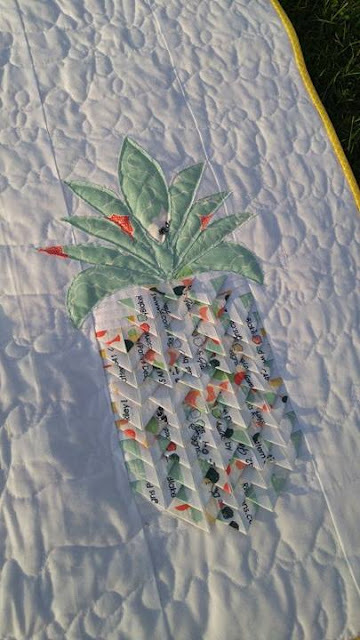 This fruit of the Spirit quilt is going to my local Pregnancy Resource Center to bless a new mom. Be sure to check out all the entries in the challenge by looking through the #selvagechallenge2016 on Instagram. 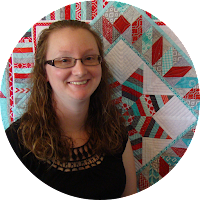 I want to know - do you save your selvages? Have you ever made a selvage quilt? Or do you use them for cat bed stuffing?